With a holiday date set, flights purchased and a car secure, housing is the next most important item to confirm. This decision often will make, or break, any successful vacation. Travel agents who you trust often ensure a great place, but their help often is limited to agencies and hotels they contract with. Just for interest sake, you might spend some Internet-trolling time looking for a house rental, flat (apartment) or possibly hotel, in Burgundy. The web links below to take the user to Burgundy, but each URL has many rental options. Simply adjust the search requirements to fit your preferences. Most rentals are reserved by the week and those listed represent a cross-section of public and private weekly rental options and prices. 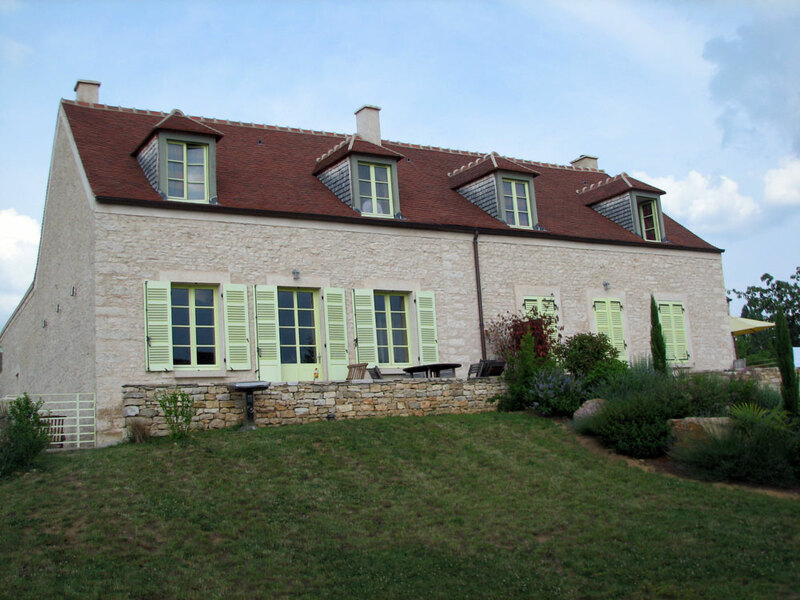 While renting a hotel room in Beaune allows closer access to nightlife, visitors to Burgundy might consider an 18th century refurbished farm-house for a week like this one at the edge of Meursault. Fresh vegetables and breads are common at farmer’s markets. 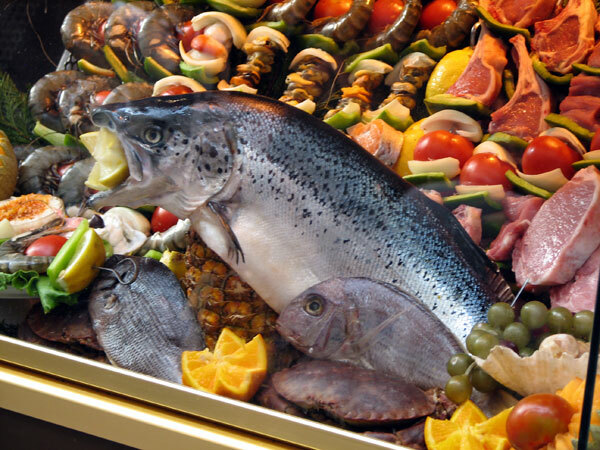 Local poultry, meat and fish make BBQ a tantalizing cuisine option. There are other web addresses as well if these do not fit your needs. Simply type different words into the blank search menu in order to maximize your requirements. However, no matter your choice of lodging, securing a place to rest after wine tasting or visiting wine merchants is very important. Just like in the States, preferred places tend to book early so do some research and make a choice ASAP. Most owners or agencies also will require a down payment when booking their houses or apartments. In addition to the obvious advantages of more bedrooms and bathrooms, a living room and kitchen in a rental home, other amenities such as a BBQ areas, a pool, washer and dryer and other conveniences are often standard in every home. Many of us would rather make our own coffee creme and sip it in the backyard or patio area than pay $5 Cup-a-Joe prices in the villages every morning. Now don’t get me wrong, I love sitting at the local cafe and doing just that, but I choose to rather than have to. … Croissants are also cheaper and just as good from the local patisserie. In fact, the increased privacy and use of local farmer’s markets for a home cooked meal is a huge benefit. Try your hand and learn to make regional dishes using local produce! The only con I can see is that maid service is only included once a week during a house rental. Can you live with hanging up the towels after each use like you do at home? 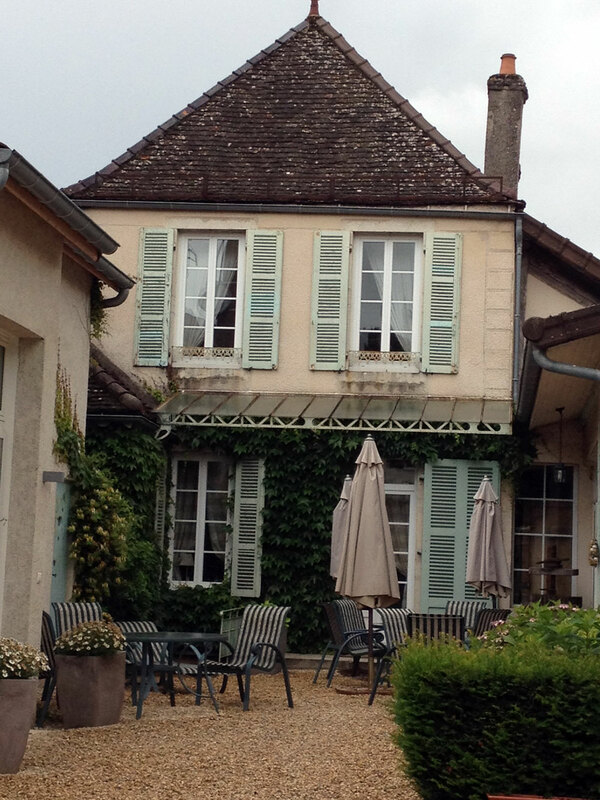 If organizing a week at a village apartment or house is out of the question, renting a hotel room in a small village may be a good fit, including a room at Domaine Thierry Violot Guillemard’s Nights of Saint John’s guest house in Pommard. However, if you are adamant about renting a room, Burgundy has a wide array of rooms to fit any budget. So decide whether walking to the night life hot spots of Beaune or Dijon will create that memorable stay or a quiet village hotel just off the main square of St. Romain, Nuits St. Georges or Santenay fit your style. The following links will provide options for both or some combination. Whether you or the travel agent books a hotel, flat or a vacation home, be sure to print and bring along your pre-paid voucher. You will need to present it when you check in. You will also most likely be required to show your passport; it must match your name on the voucher. Simply presenting your credit card may not be enough and could cause a delay in checking into your accommodations. 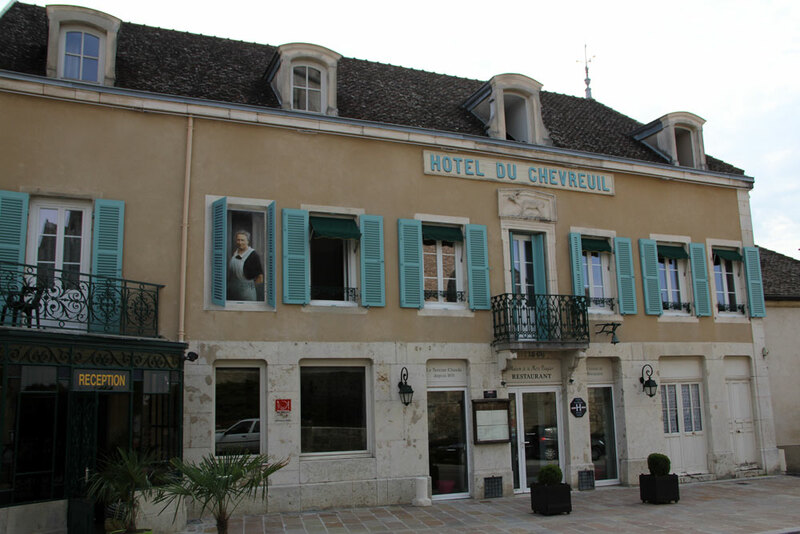 Located just off Meursault’s main square, the Hotel du Chèvreuil is about a 15-minute drive from Beaune. If travelers still do not have confidence in these web addresses, a number of nationally recognized web sites offer suggestions on tour planning. These sites include Fodors.com, Frommers.com, and Rick Steves’ Europe also offer tour planning as well. Lastly, a word of caution about your heath coverage overseas. While many insurance policies will cover you, many will only reimburse your out-of-pocket expenses after you return to the States. However, with policies ever-changing, it would be a good idea to check with your carrier and check with the Travel.State.Gov for International Travel for any updates or cautions about travel or insurance. Ask whether coverage is the same or how any claims would be handled while you are out of country? In any case, I believe it prudent to get additional coverage from agencies who specialize in this area. Please review the policies carefully but companies like the following have specific policies for traveling abroad. If you buy a policy, make certain you specifically outline the days you are out of country. You might add an extra day as well in case of delays to ensure you are still covered. Also, make sure you print a copy of your Confirmation of Coverage and plan or policy details, noting your confirmation number, web address and toll-free phone numbers both from the country you are in and from the United States. After providing options on where to stay in Burgundy and a reminder to check on your insurance, I will next focus a discussion of the four levels of Burgundy wines: Grand Cu, Premier Cru, AOC Communales (Village) and the AOC Regionales. See you on or before July 13.